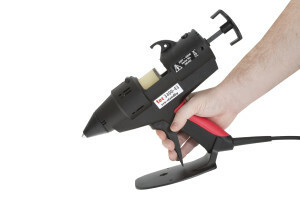 The new Tec 3400 glue gun has a higher output and also features a clever trigger boost system that increases power when the trigger is pulled, upping the output even more. This, coupled with the fast recovery from standby, ensures that the adhesive is always applied at the right temperature for the application – vital for consistent and quality bonding. 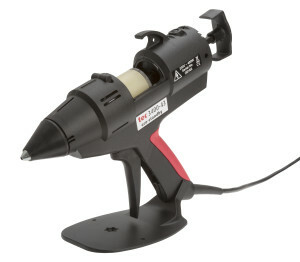 Service exchange your Old/Broken or whatever condition Tec 3200 glue gun for a New Eco-friendly Tec 3400 with a 12 month warranty at a greatly discounted price. The Tec 3400 is the highest-output, all electric glue gun on the market – a powerful tool that combines exceptional temperature precision with Eco-friendly, phased standby operation.